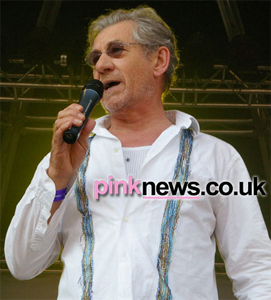 Ian McKellen has entreated gay people in the closet to ‘come out’. In an article for the Times, published today, he wrote: “For me, coming out made me unburdened and more self-confident. McKellen didn’t publicly come out until 1988 when he was 49 years old. The date is telling – 1988 was the year that Section 28 was passed as an amendment of the Local Government Act. The amendment stated that schools and local authorities were not to “promote homosexuality” or teach “the acceptability of homosexuality as a pretended family relationship”. This legislation, McKellen said, was the catalyst to him announcing his sexuality in public. McKellen has been working as a stage and screen actor since his graduation from Cambridge in 1961. Although probably best known for recent film roles including Gandalf in Lord of the Rings and Magneto in the X-Men films, he has also had a long-running career as a gay rights activist. He is a founding member of Stonewall and gives talks in “faith, comprehensive and private” schools about gay rights. “Everyone should feel that they have the right and opportunity to live openly,” he concluded.